Be counted! 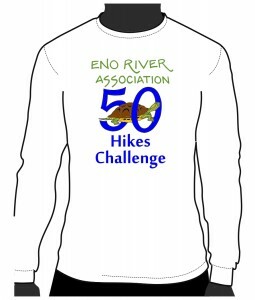 We want to know who is out there hiking on the Eno for our 50th Anniversary. Log your hikes in our virtual log book. Don’t know where to go? You can join us on a Winter & Spring Guided Hikes every Sunday. Or explore on your own! 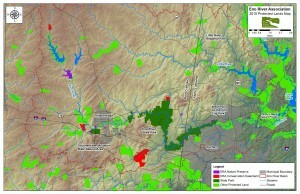 Here’s more info on the lands we have protected in the Eno watershed over the last 50 years. Use this link to enter your hikes! View the hike log book here. The program is open to the public and free of charge. We’d love for you to Join Us and be a member! All ages can join in the fun- you can log yourself as a whole family or have each person do their own. There is no minimum number of hikes to do or length to travel, choose your own adventure! How do I get a cool 50 Hikes Tee/Sweatshirt/Athletic shirt? Visit Big Frog of Durham to print your own! Choose your color, style, size and more. We recommend printing on light colored cloth to make the design look its best. Wear your 50 Hikes clothing when you are out on the trail and help spread the word about the 50 Hikes Challenge!